Rising crime in the UK, a deliberate Tory policy? In March 2012 it was announced that burgalry rates have soared to a ten year high. With huge increases in unemployment, attacks on police numbers and Osborne's ideologically driven (poverty for the masses, handouts for his rich mates) austerity agenda, is anyone really surprised that burgalry rates are on the rise? 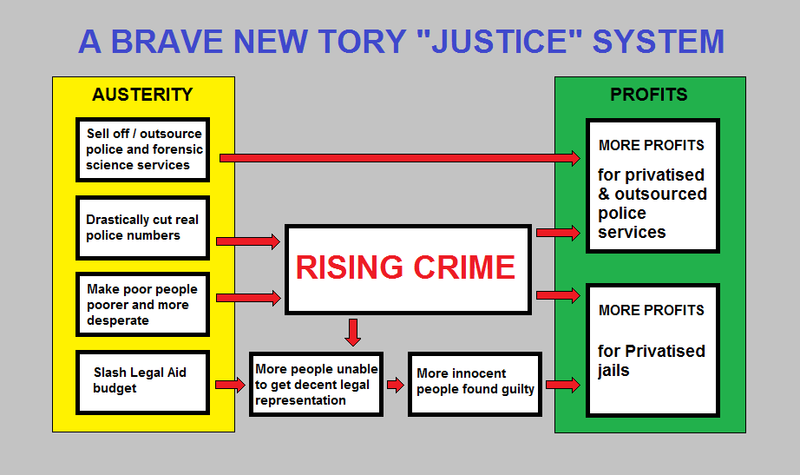 Still, rising crime can be of supurb economic benefit to corporations such as insurance companies, privatised jails, privatised forensic science services, privatised police forces, private security companies..... I wonder if the bosses of these kinds of corporation are the type of people that pay £250k to buy access and influence from Cruddas and Cameron? 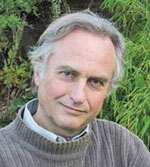 Dawkins' ranters, please shut up. Here is a handy instant reply you can link to next time some anti-theist ranter tries to drag the level of online debate on the subjects of religion, ethics or science down to their own pathetic level by invoking "sky pixies" or "spaghetti monsters", or spouting intolerant bile about how religiously afflicted people are "delusional" and should be openly discriminated against. The abridged works of Richard Dawkins. Oh God no, not another reference to Dawkins. The man is a noted evolutionary biologist, but as a philosopher and a human he is quite lame. I respect his passion for science and reason, but faith in the non-existence of God is crazy stuff. Any scientist will tell you that abscence of evidence is not evidence of abscence. Militant atheism and anti-theism are fundamentalist positions, while open minded agnosticism is a much more reasoned and pragmatic stance. Personally I prefer something a little more philosophical, an ignostic stance. I question the entire basis of the "does God exist?" debate that has earned this unremarkable upper class fellow his millions of pounds in royalties and hundreds of thousands of witless devotees. Put simply, if the term "God" is not properly defined the whole question is meaningless. 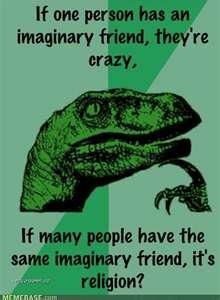 To an atheist or anti-theist "does god exist?" holds no meaning at all, reduce it down and it reads as "does something that doesn't exist, exist?" To a devout follower of perscriptive religion on the other hand it can be reduced to "does the most important and fundamental thing in the universe exist?" again pretty meaningless, since the answer is in the question. The question "does God exist?" is silly, a much better set of questions are, "if God does exist, what is it? why is it invisible? and why are humans so inclined to believe in it?" Plenty of answers to these questions can formulated from the very frontiers of science (quantum physics and the huge cosmological problems of dark energy and dark matter) and in areas that in my opinion transcend science entirely (such as love, art, imagination and ethics). Whether contemplation of these questions is worthwhile is debatable, though surely preferable to arguments about the answer to a meaningless question. I hate the sad reactionary twerps that worship Dawkins and like him, hold a mystical faith that science can and will eventually explain everything. I hate them because they belittle the few good theological points Dawkins ever managed to make by blathering all over any open comment internet based religion/ethics/science article with their witless rants about "sky pixies" and "spaghetti monsters", as if they are actually adding anything coherent to the conversation by invoking these absurd words from the scripture of Dawkins. Even worse are the grossly intolerant comments that "religious people are all delusional", "they should all be locked up/prevented from voting/killed" for their crimes of cognitive non-conformity. This idea that people must be punished if they do not think in the same "rational" way and the claiming of the rational high ground to encourage the persecution of others, is a dangerously totalitarian stance. religious organisations been less influential in the 19th Century. Many of these shouty Dawkins inspired fools have simply transferred their natural human "faith tendency" from old school perscriptive ethics to new school greed-is-good, ideology-dressed-up-as-science, neoliberal consumerism. Many of them are complete idiots that can't even properly understand the massive difference in conceptual content between the sociological effects of organised religion and the existence or not of an unintelligably superior intelligence. Science cannot ever explain everything, it is against the very conceptual framework of science to adopt a belief that is undeniably true, every assertion must be up for scrutiny. Quantum indeterminacy dictates that nothing is ever absolutely certain, nothing is perfectly measurable. There is no perfect scientific answer and that is the beauty of it. For every wonderful thing that science reveals, it poses countless new questions. Science is a spectacularly wonderful methodology for exploring and explaining the physical universe, but it is not a faith system and a complete conceptual substitute for the perscriptive ethical conformity of mass religion. The application of science without ethics or proper scientific scrutiny (such as unbiased peer review) has resulted in the grotesquely unfair and unsustainable neoliberal expansionist model of economics, where the greed of the few rules supreme over the needs of the many and the long term potential of the human species and the planet we inhabit is sacrificed to turn a short term profit for the few. Neoliberalism as an ideology is a fundamentally corrupt and pseudo-scientific construct, complete with it's own faith based dogma and mantras (the invisible hand, freedom of the markets, private sector is always more competitive than the state, the trickle down effect...) yet Dawkins' ranters seem reluctant to aim their criticism at the amoral neoliberal church of mamon, preferring instead to aim their unfocussed bile at the much more tangible and visible ideologies of mass religious indoctrination. My God, what a ridiculously long comment, I should write a book or two full of this drivel and rake in the millions like Dawkins has. Postscript. 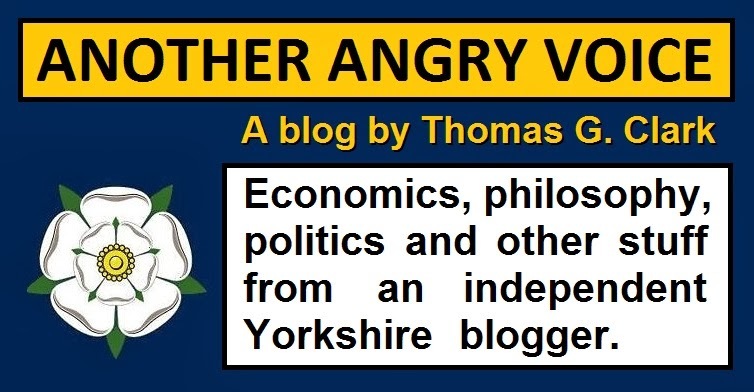 What I have written here was originally posted on a friend's Facebook status, several people responded to say that I should actually write such a book and that they would read it because my arguments are more coherent than Dawkins and my prose far superior. Not bad considering what I wrote was just a pissed, spur of the moment, four o'clock in the morning philosophical ramble about some of my views on the boringness of Dawkins' ever growing hoard of tedious reactionary anti-theists and their utterly feeble synthetic arguments like "God doesn't exist because organised religion is crap". If these people can't even master Dawkins own dumbed down (and often philosophically inconsistent) arguments and just mouth off angry, incoherent and reactionary "religion is evil" themed drivel, there really appears to be no hope for them. And little hope for humanity either, if this kind of idiot really does consider himself to be the very pinnace of rational sentience. 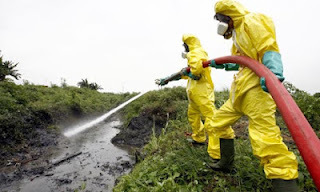 A Dutch cleanup team deal with toxic waste in Abidjan. Trafigura are a Dutch oil trading firm and one of the world's biggest independent oil traders. The company has been involved in numerous scandals including UN sanctions busting in Iraq during the Oil for Food Programme and more famously the Abidjan toxic waste dumping scandal. The toxic waste dumping incident began in 2002 when Mexican state-owned oil company Pemex began to accumulate significant quantities of coker gasoline, a poor quality product which contained large amounts of sulfur and silica. By 2006 Pemex had run out of storage capacity and sold the coker gasoline to Trafigura. In early 2006, Pemex trucked the coker gasoline to Brownsville, Texas, where Trafigura loaded it aboard the Panamanian registered Probo Koala tanker, which was owned by Greek shipping company Prime Marine Management Inc. and chartered by Trafigura. Trafigura decided to strip the sulfurous products out of the coker gasoline to produce naphtha, which could then be sold. Instead of paying a refinery to do the work, Trafigura used an obsolete process on board the ship called "caustic washing", in which the coker was treated with caustic soda. The process worked, and the resulting naphtha was resold for a reported profit of $19 million. The waste resulting from this kind of caustic washing typically includes highly dangerous substances such as sodium hydroxide, sodium sulphide and phenols. The Probo Koala tried to offload the waste in Amsterdam, but when the contractors discovered the toxicity of the cargo they quoted €500,000 to dispose of it. The toxic waste was then pumped back onto the ship and transported out of the Netherlands. The company were eventually fined €1 million for the illegal transportation of toxic waste into and out of the Netherlands. The Probo Koala then travelled to Abidjan in the Ivory Coast (a country with no toxic waste disposal facilities) where the toxic waste was offloaded for a fee of just €18,500. Over the following weeks the toxic waste was dumped at landfill sites, at roadsides and on open ground in poor neighbourhoods. An official analysis of samples of the waste carried by the Probo Koala indicated that it contained around two British tonnes of the highly toxic substance hydrogen sulphide. More than 30,000 people from Ivory Coast claimed they were affected by the ­toxic waste and eventually brought Britain's biggest-ever group lawsuit against the company. Trafigura, originally issued statements in 2006 denying the tanker was carrying toxic waste claiming instead that the ship only contained routine "slops", the dirty water from washing out the fuel tank. Executives of the company repeatedly denied that the waste contained any hydrogen sulphide and the company hired famous libel lawyers Carter-Ruck to stifle any media reporting of the incident. Trafigura eventually paid the government of the Ivory Coast £100 million to cover the clean-up costs but as part of the deal the company demanded and received immunity from prosecution, however prosecutions against the local Ivorian subcontractors that dumped the waste continued, with one of them receiving a sentence of 20 years. Trafigura spent the next few years obtaining numerous restrictive legal injunctions and suing media sources that dared to cover the case (BBC, The Guardian & The Independent) forcing them to take down numerous articles from their websites. The company were even accused of using a super-injunction in an attempt to gag the UK Parliament. In September 2009 the Guardian revealed that Trafigura employees knew about the toxic nature of the cargo, publishing internal emails that said "this operation is no longer allowed in the European Union, the United States and Singapore" and that it is "banned in most countries due to the 'hazardous nature of the waste" In the wake of these revelations the company (despite their previous litigiousness and protestations of innocence) quickly agreed to pay $46 million in compensation to their Ivorian victims. It seems that in order to save around €480,000 in disposal fees somebody at the company decided to remove the toxic waste from the Netherlands and transport it to a country without proper waste disposal facilities where it could be dumped, a decision that eventually ended up costing over €200 million in clean-up costs, fines and compensation. No Trafigura employees have ever been convicted in relation to the Abidjan toxic waste dumping incident. 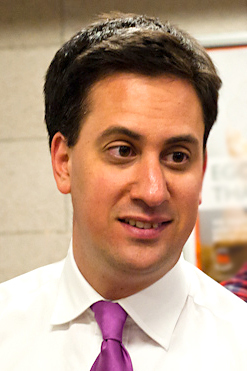 On 6 March 2012 the UK Labour party leader Ed Miliband was reported as saying that there should never be a return to the protectionism of "propping up lame ducks or putting up trade barriers of the 1970s" as part of a "patriotic economic policy" as a rehash of Gordon Brown's empty "British jobs for British workers" soundbyte. Odd that, the bankers bailouts dished out by his party (with the support of the Tories) are the biggest subsidies to a disfunctional sector of the economy in UK history (estimated at around £1 trillion), £45 billion of which was "invested" in RBS. Imagine what "just" £45 billion "bailout" could have achieved if it had been wisely invested in productive sectors of the economy such as manufacturing, engineering, scientific research, computer science, public transport or housebuilding. Yet instead, the UK has been left with £20 billion losses on their RBS investment alone, the grotesquely under-regulated shadow banking sector that caused the neoliberal economic crisis in the first place remains completely unreformed and the "real" productive economy of the UK is being ruthlessly choked by George Osborne's ideologically driven"austerity" crusade to pay back the spectacular losses on his party's "lame duck subsidies" to their financial sector mates at the height of the neoliberal economic meltdown.